We accept the European debit card, Mastercard and Visa credit cards. We prefer cash payment. The terms and conditions of the German Hotel Rules of the German Hotel and Restaurant Association are valid. Your room is available from about 12 p.m. (noon). Please check out until 10:30 a.m. In case of earlier arrival or later departure we keep your luggage reliably. Guests can use selected public transport for free. Free parking lots in large numbers are next to the house. The free Kochel card offers a variety of coupons & discounts. Our small library offers novels and magazines mainly in german language. We offer flat screen TV with satellite channels and more than 300 programs in every room. For your valuables there is a safe located in each room. Children under the age of 12 years receive discount on lodging in the parents’ room. Conference facilities for small groups on request. We offer excellent breakfast daily from 8 a.m. to 10:30 a.m. You want to eat earlier or later? Just tell us. Our parlors are open around the clock with drinking service. The restaurant opens for groups on request. Experience upper Bavaria and save money with our special deals. We have put together attractive combinations with a 3- or 5-days stay and varied program. Check it out! Pamper yourself with a short break in Kochel am See! Enjoy relaxing days in fresh air and discover the spring in the beautiful foothills of the Alps! Offer is only valid for cash. With the Franz-Marc-Museum Kochel am See offers special art moments. museums map “Expressionism” with discounted entry to Buchheim Museum, Franz Marc Museum, Schlossmuseum Murnau and Stadtmuseum Penzberg. The museums are closed on Mondays. Flat or hilly – the foothills of the Alps are a dream for every hiking enthusiast. ride to the Herzogstand with the Herzogstandbahn, the favorite mountain of King Ludwig II. Enjoy relaxation from a hectic day and give yourself a little time out – the foothills of the Alps offer diverse opportunities for rest, relaxation and distraction. Additional night and single rooms on request. The fall in the foothills is a particularly colorful season. Pleasantly mild for large and small adventures. Give pleasure with our individual gift cards! 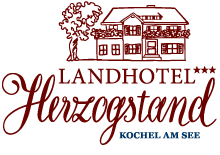 The voucher will be compiled according to your wishes: a holiday package in one of the cozy, theme rooms, an invitation to our Bavarian barbecue or a credit for our Bavarian snack tapas. Let yourself be inspired – by us or bring your own wishes. Together we make a customized surprise! Ask here quickly and without obligation for a personal offer for your preferred period. We will reply within one day – usually within a few hours.